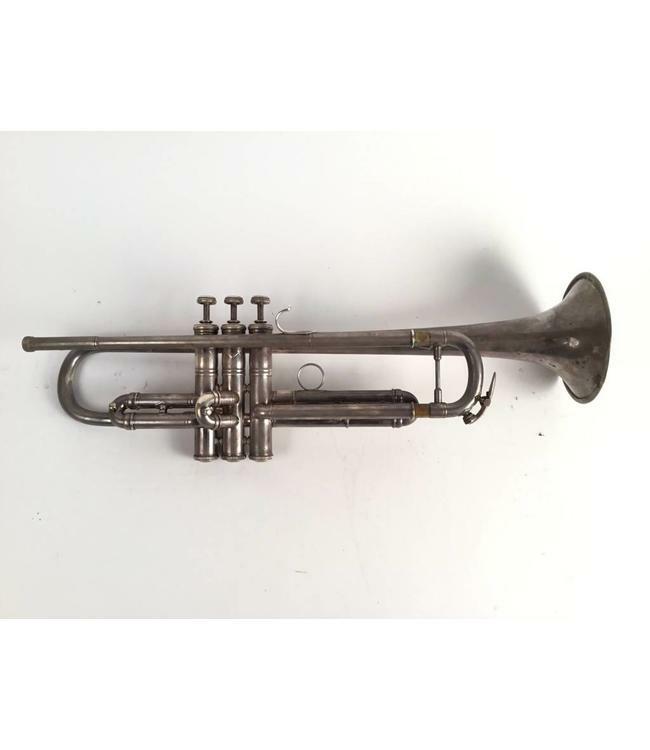 Used New York Bach Stradivarius Bb trumpet in silver plate. This trumpet has the 6 bell and a medium large bore. Has been refinished and silver plated at some point and minor evidence of bell work, otherwise excellent condition, especially considering the vintage.